Published July 9, 2013 at 633 × 712 in 2012-2013 ePortfolio Student Showcase Now Live!. Highlights: Katie’s capstone ePortfolio is easy to navigate and visually appealing. 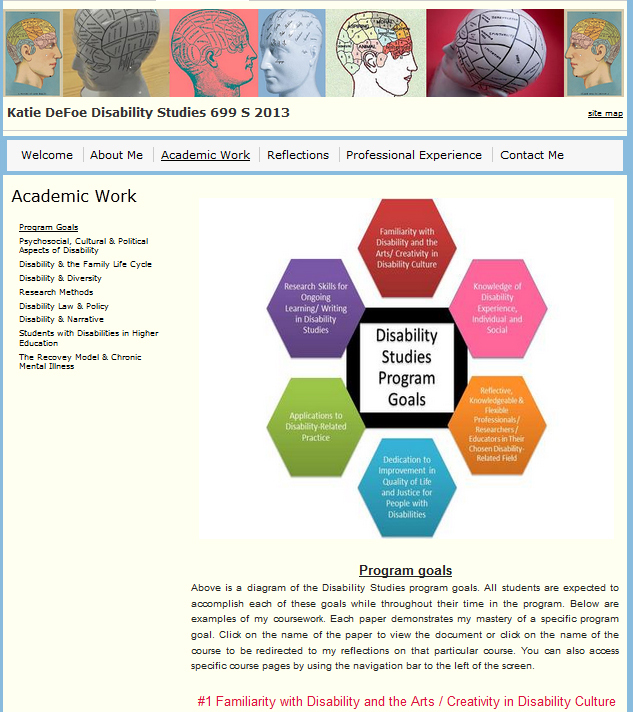 The program goals page includes assignments that clearly demonstrated each of the six overall program goals and Katie also includes a section outlining her professional experience.